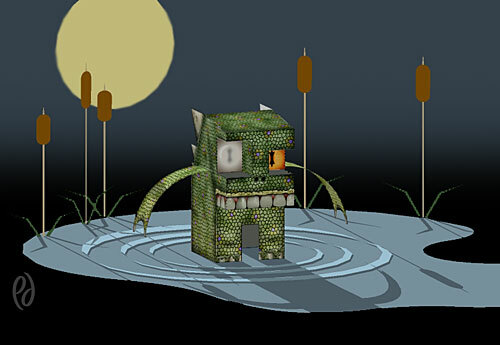 By the light of the full moon he emerges from the murky depths of a boggy swamp… to check his email and twitter feed. It’s Leonard, the lizard monster! 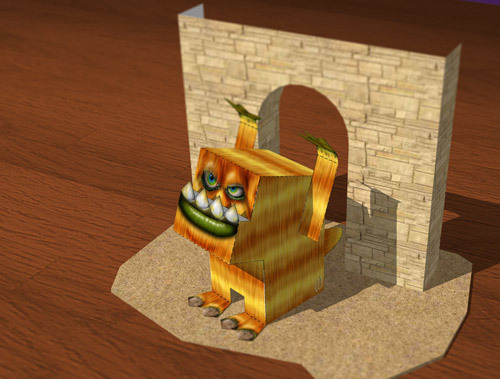 Leonard is now available as part of the FOLDed Monster Set. 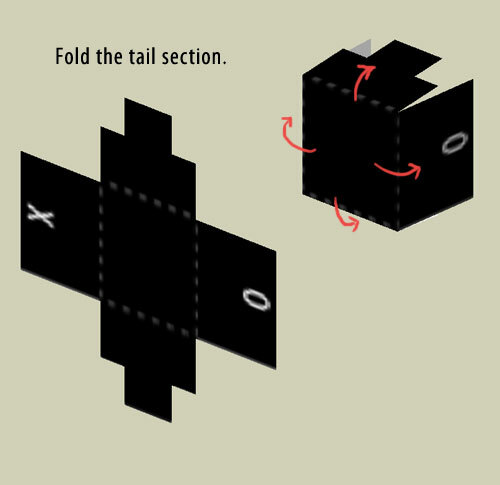 Like the FOLDed Facebook page and send me a photo of your Leonard FOLDed! 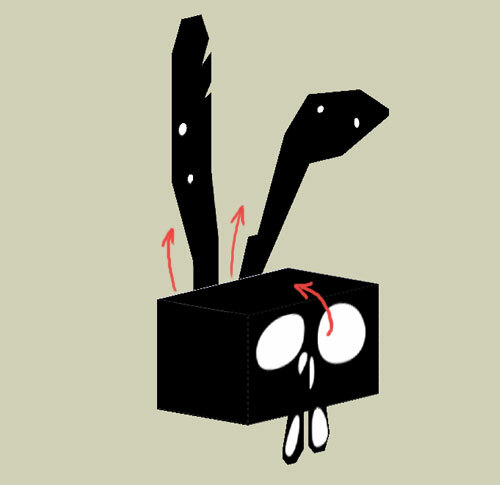 The Zombbit has infected the FOLDed Blog! There is no antidote. 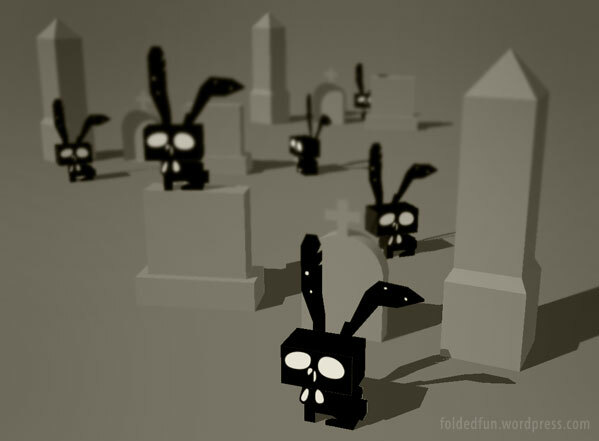 There is no escape from the hopping dead. 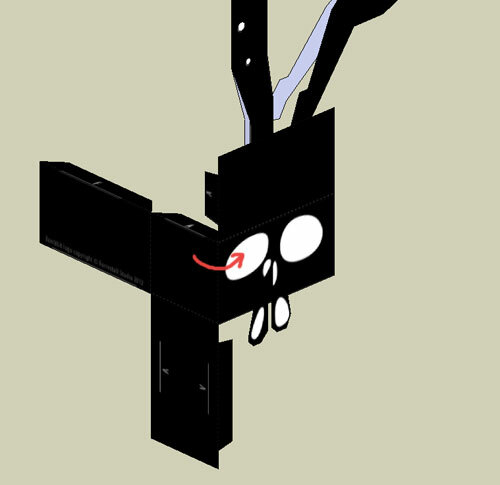 Zombbit is the tag of Father-Daughter-Daughter art team Frank, Gwenhwyfar and Jessica Forrestall. 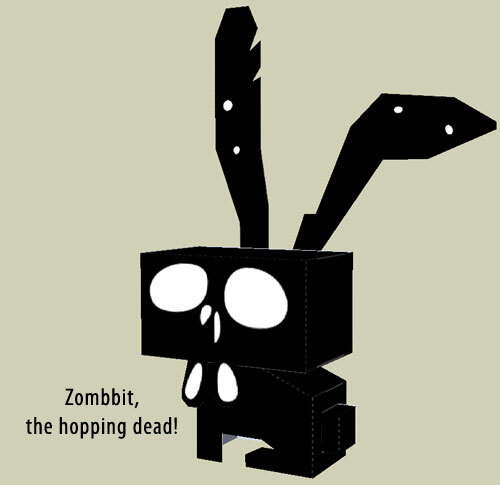 Visit the Zombbit Facebook pagewhere you’ll find all manner of cute-n-creepy Artwork! 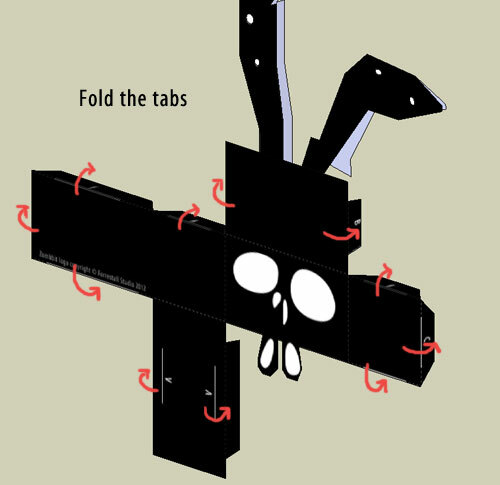 While you are here, download, print, and assemble your own Zombbit FOLDed. 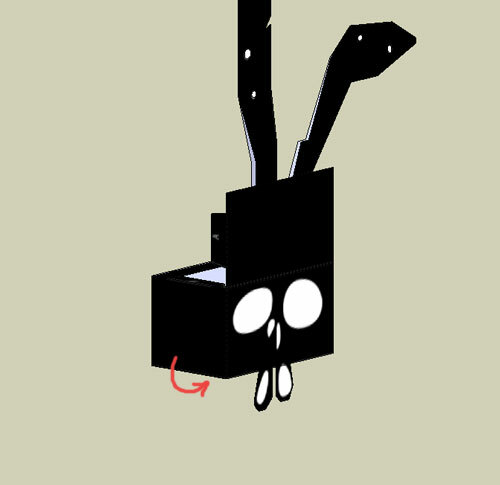 Like the FOLDed Facebook page and send me a photo of your Zombbit! 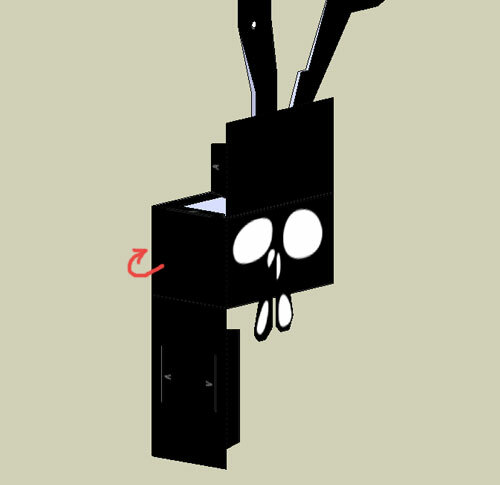 Click the image below to download the “Zombbit” FOLDed. 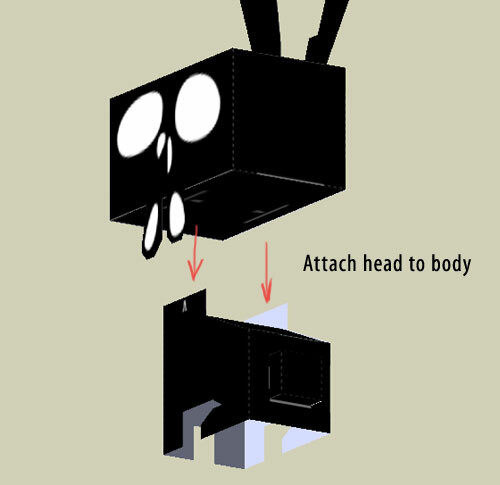 Print your Zombbit FOLDed. 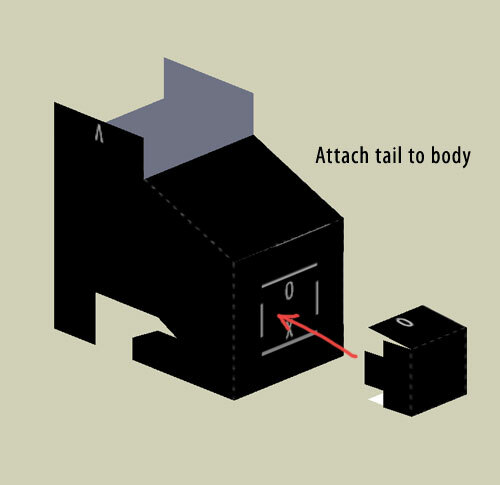 Card stock works best if your printer can accept thicker paper. 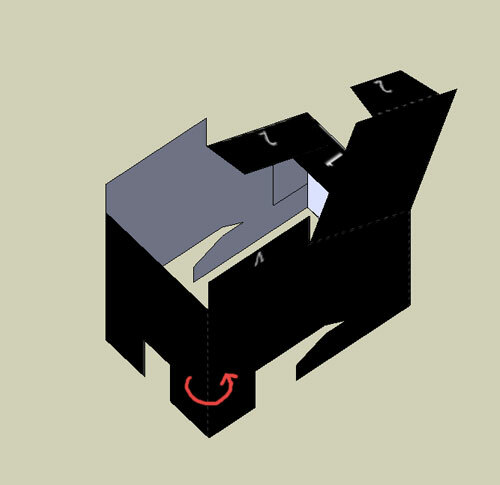 You may want to refer to the GETTING STARTED page for further advice. Harold tries to be all “arr-rarrgh, I’m so scary!”, but really he’s just a big softy. Just let him do his routine and pretend to be frightened now and then. 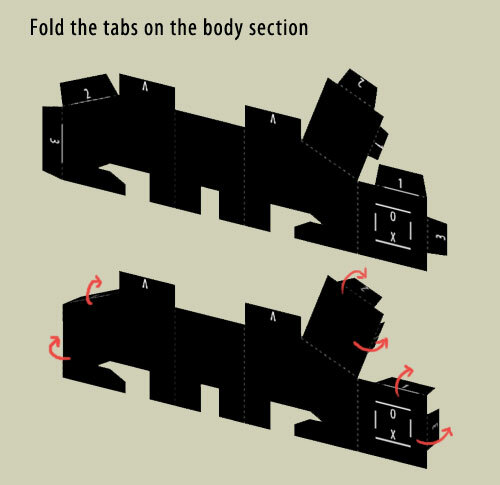 Like the FOLDed Facebook page and send me a photo of your Harold FOLDed! OH NO! Gordon is on the rampage! 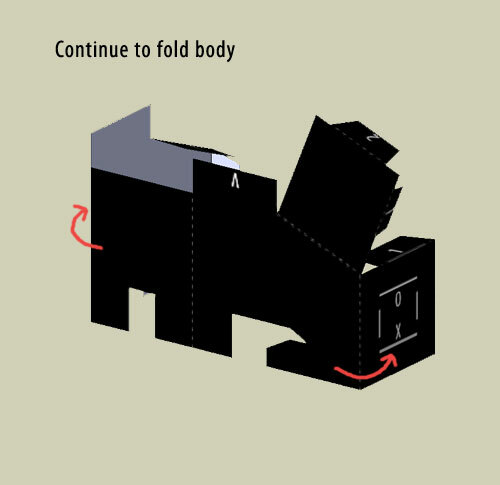 Mayhem and chaos are sure to follow the moment you assemble your Gordon FOLDed. 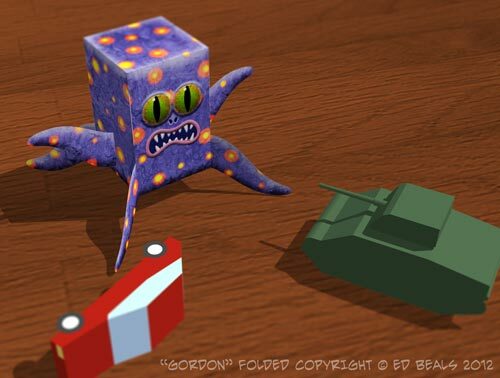 Like the FOLDed Facebook page and send me a photo of your Gordon FOLDed! 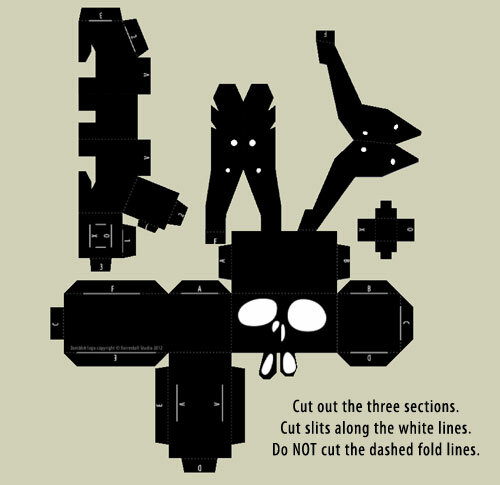 FOLDeds are fun paper toys that you cut, fold, and assemble yourself. 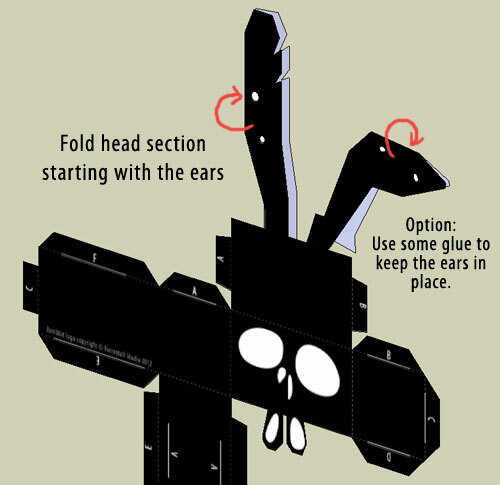 The FOLDed blog features detailed instructions on how to make each toy and even some FREE FOLDed downloads. You can order high quality FOLDeds direct from Ed on the WANT SOME page, or you can find them at Argyle Fine Art in Halifax, Nova Scotia.